Sciblogs | Bird of the Year: Which birds are good for ecosystem services? Bird of the Year: Which birds are good for ecosystem services? We are midway through one of the most important electoral contests of the year: Bird of the Year. Every year, this popular campaign raises awareness of New Zealand’s native birds and the perilous state many populations are in. At the Bio-Protection Research Centre we also think it’s a great opportunity to get people thinking about how birds help to make the world go round. Birds offer obvious, and sometimes less obvious, ecosystem services – sometimes called nature’s services. Ecosystem services are usually defined as ecosystem function plus value to humanity. For example, most people believe birds reduce pest numbers significantly, although this has only occasionally been demonstrated. With that in mind, here are some of the positive and negative criteria we hope will influence voting in Bird of the Year. Christchurch’s Bromley oxidation ponds could perhaps be ameliorated somewhat if nest boxes for welcome swallows were installed. 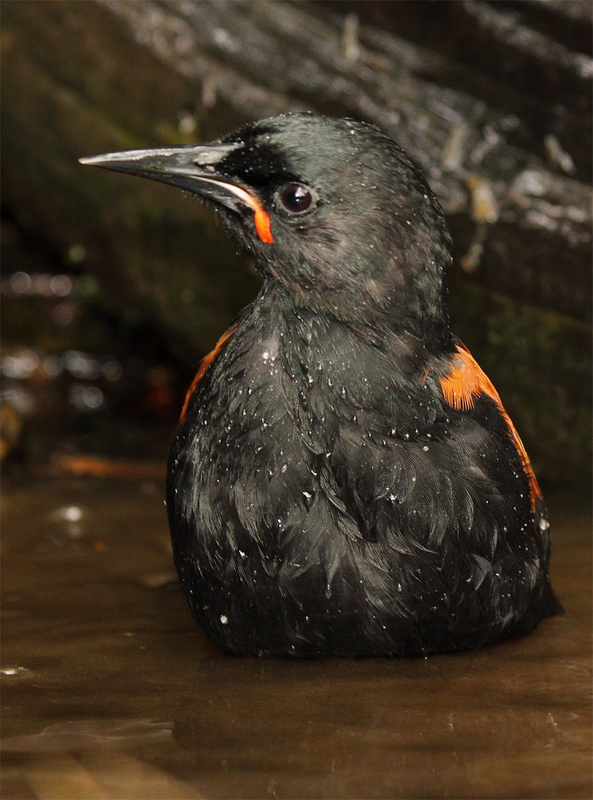 Other native birds that might help are fantails (pīwakawaka), grey warblers (riroriro), tui, and bellbirds (korimako). Rats, mice and stoats cause enormous damage in New Zealand ecosystems. This is where our native raptors get a big tick: New Zealand falcon (kārearea), harrier hawk (kāhu), morepork (ruru), and even the very recent newcomer, the barn owl. You might also give weka a tick, as they’ve been known to kill animals as large as stoats. 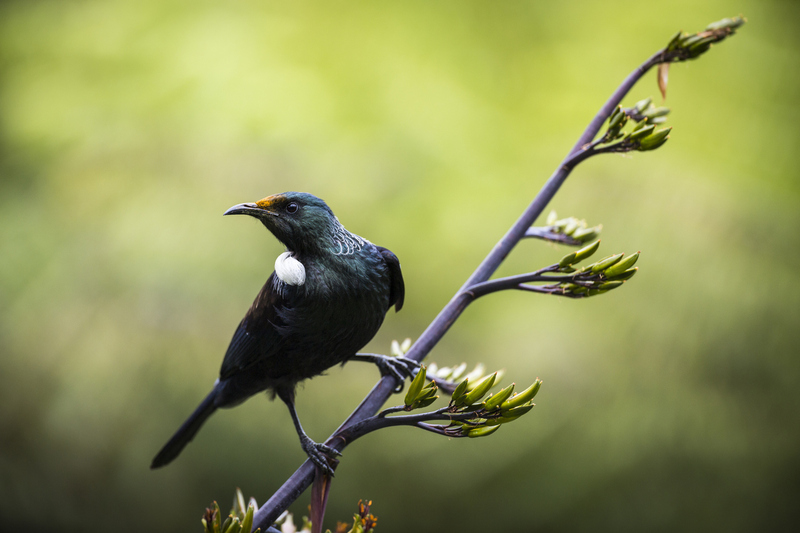 We put this in our criteria, but it’s not a strong suit for New Zealand native birds. Some ducks and other freshwater birds eat aquatic weed plants, but are not known to significantly reduce them. Brown teal, pūkeko, and spotless crake could get a tick if you were feeling generous. Quite a few of our native fruit and seed-eaters are guilty of this. You may have to take a point off kererū, bellbird, and silvereye (tauhou). And now you can give those points back, because of course kererū, bellbirds, and silvereyes spread our native seeds as well. Kererū particularly redeem themselves here, as being the only birds in many parts of the country able to spread larger seeds. Kōkako can spread some larger seeds – but we need more of them to help kererū out. Tuī also get a favourable mention, as do most of our forest birds. Many of New Zealand’s native plants evolved to be pollinated by birds. 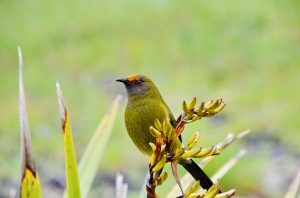 The New Zealand honeyeater family contains two of New Zealand’s best-known bird pollinators, tuī and bellbirds. Other pollinators include the saddleback (tīeke) and even kākā. 8. Do we owe this bird big time, because it’s in serious danger thanks to the pests WE introduced? Sadly, many of New Zealand’s native birds get a tick for this one. Indeed, any bird that’s categorised as “In some trouble” or “In serious trouble” qualifies. That’s 41 out of the 61 birds listed – or 67%. Take one point off your tally for kea, kōkako, bar-tailed godwit (kuaka), fairy tern (tara iti), mohua (yellowhead), kārearea, pūkeko, orange-fronted parakeet (kākāriki karaka), kiwi, kākāpo, grey warbler, fantail, and tuī. Bird of the Year is a great way to raise awareness about our native birds, but we need to do more. All over the world land-use changes are the biggest cause of declining bird populations. It’s no different here. We need to actively protect and increase our native bird populations, so they can all be birds of the year, all year round. Yearly, we as a family vote and share our choices. My eldest daughter forwarded this to me…and I read an article in F&B like this too. I appreciate both for reminding me to recognise the ecosystem services of birds, that they offer more than an attractive sight and welcome song (or honking in the case of a pair of paradise ducks this morning! ).